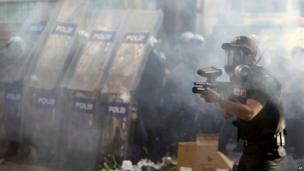 Images from Turkey as riot police move in on protesters who have occupied Istanbul's Taksim Square for nearly two weeks. 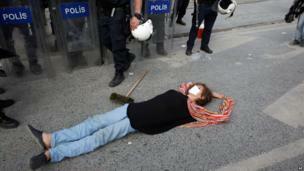 Police have moved to clear Istanbul's Taksim Square, leading to violent clashes with protesters. 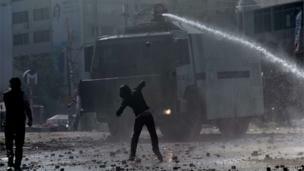 The clashes flared early on Tuesday as police advanced on demonstrators using tear gas and water cannon. 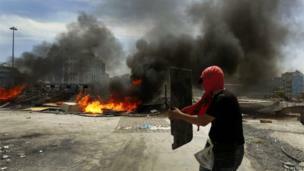 The operation was seen as a show of force against anti-government protests that began on 31 May. Hundreds of riot police were deployed. The raid by police took many people by surprise. The prime minister had said he would meet the protest organisers on Wednesday. The police removed protesters’ banners which were hanging from a building overlooking the square. 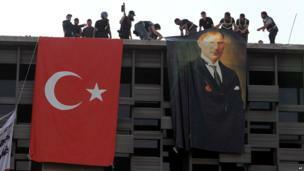 In their place, they put up a Turkish flag and a banner of the founder of modern Turkey, Mustafa Kemal Ataturk - who has also been used as a symbol by protesters. 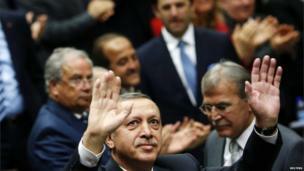 Prime Minister Recep Tayyip Erdogan made a defiant speech in Ankara, defending police action and warning protesters that he had no tolerance for them - despite agreeing a day earlier to meet protest leaders. 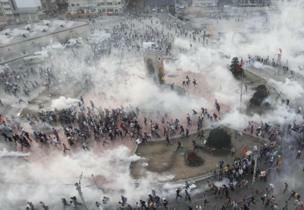 Towards the evening, protesters entered Taksim Square for a second time, before police once more dispersed them using water cannon and tear gas. 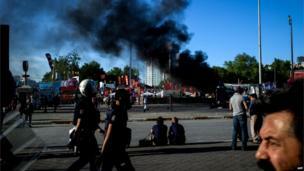 Activists occupied Taksim Square after an earlier police crackdown on protests against the planned redevelopment of the adjacent Gezi Park. 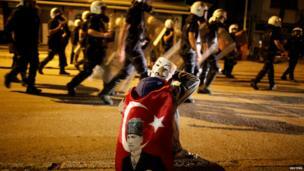 The protests quickly spread to other cities, including the capital, Ankara. They have led to several deaths and more than 5,000 injuries.